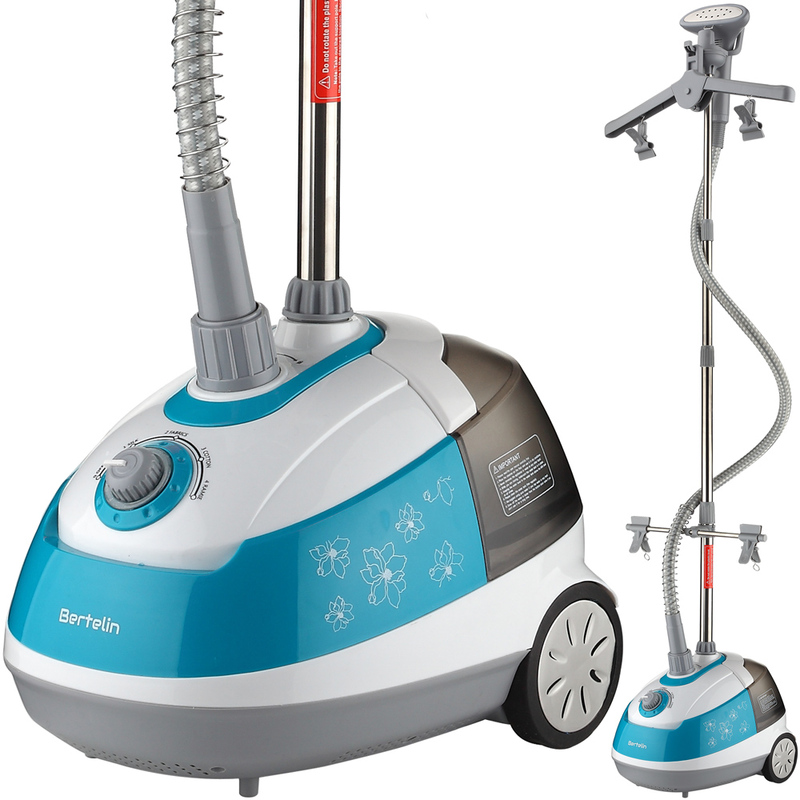 View basket “Bertelin Vertical Garment Steamer” has been added to your basket. 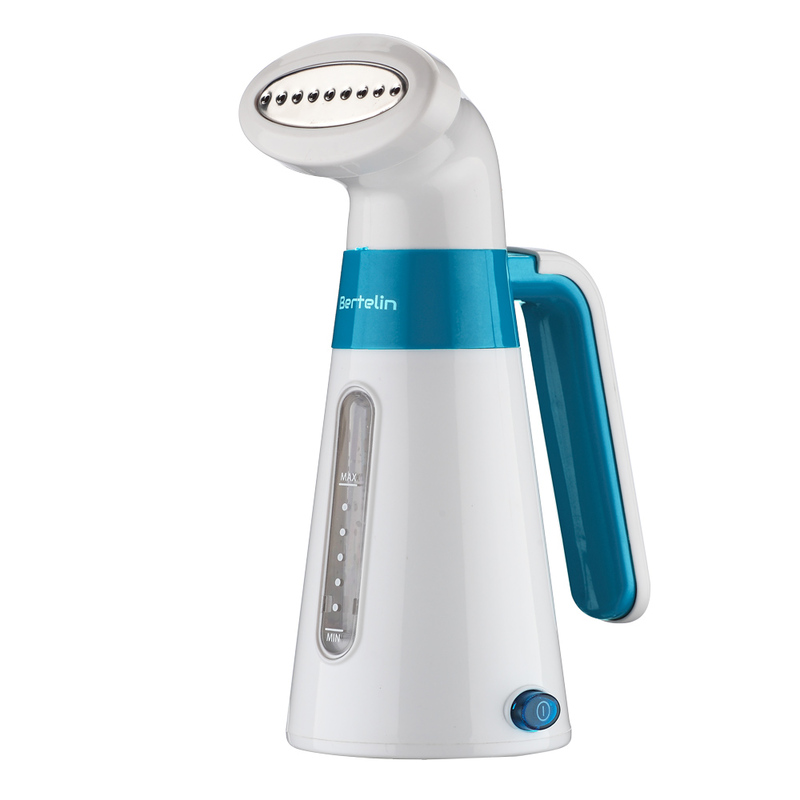 Bertelin Handheld Travel Garment Steamer is efficient steam ironing machine in a portable size, ideal for use both at home and travel. 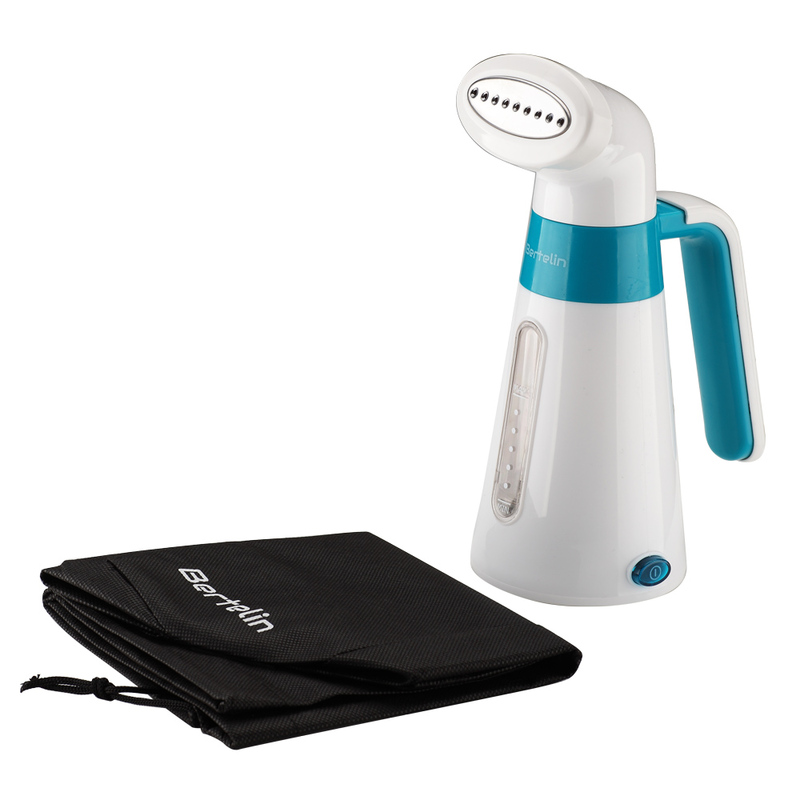 This stylish garment steamer is easy to use and maintain, economical and safe. It works well on all fabrics including pure silk, cotton, wool, linen, polyester, nylon, organic fabrics, sequins, beads, embroidery and blended textiles. Its nozzle design perfectly distributes strong and even steam to work well and safe on all types of clothing, furniture upholstery, curtains, bedding, table liners, etc. 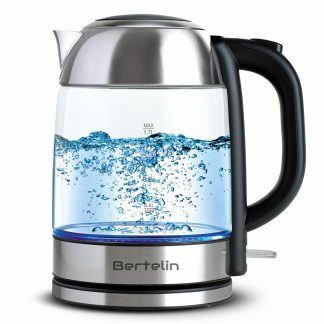 EFFICIENT: unique design of 9-hole nozzle and stainless metal ironing plate provides strong and even penetration of steam and heat to remove stubborn wrinkles, saving time and effort while on the go. 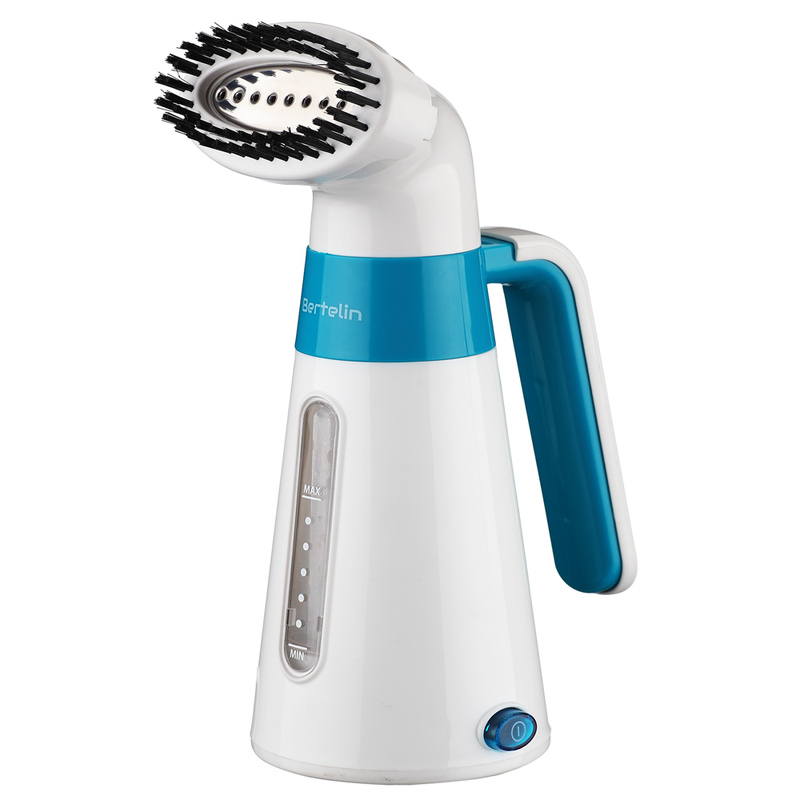 The brush attachment improves steam penetration into thick and heavy fabrics for faster result. 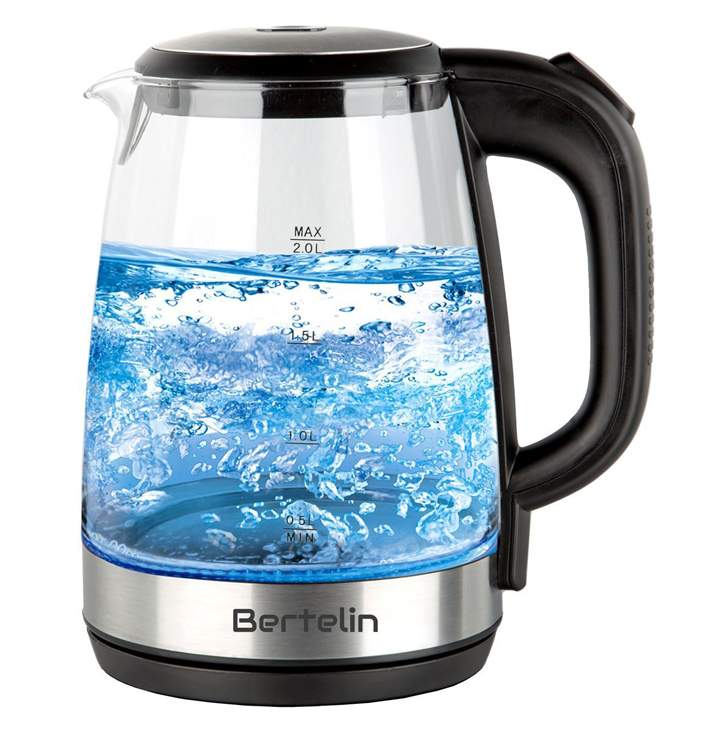 PORTABLE & ANTI-SPLASH: Compact and stylish design with a built-in 110 ml water tank with a special anti-splash design, a 1.8 metre power cord and a luxurious velvet fabric pouch make it a perfect travel companion. 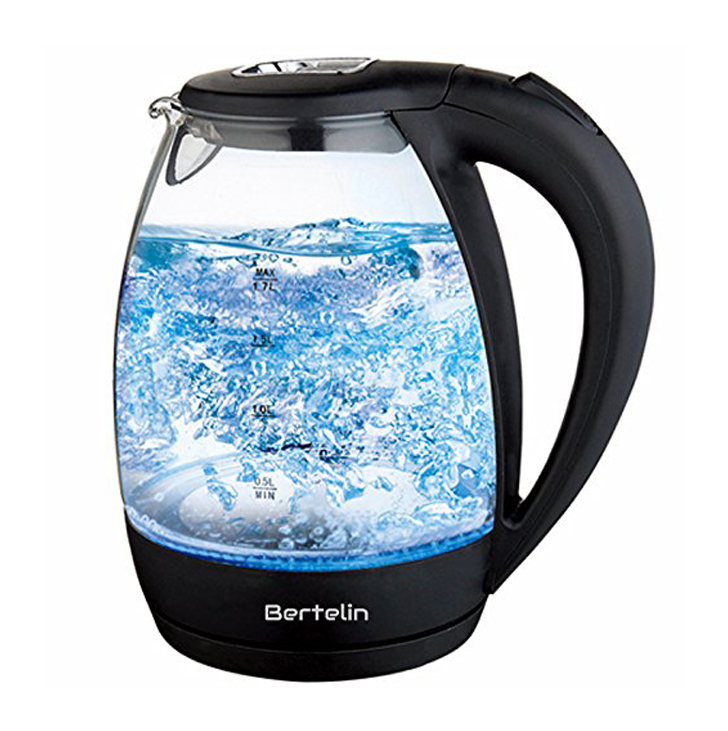 PREMIUM MATERIALS: Thermal insulated body protects you from hot water. 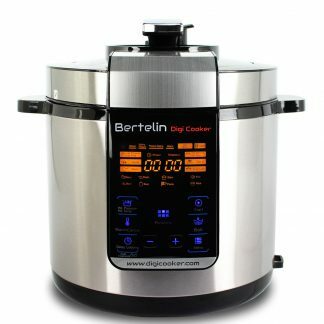 AUTO SHUT-OFF AND OVERHEAT PROTECTION: Auto shut-off when too hot or insufficient water and auto reset when it is cool down later or refilled with water. Thermo-sensitive ceramic heating element provides constant temperature to avoid being overheated while ironing.